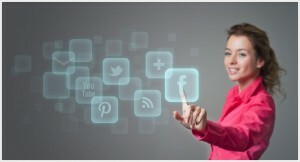 Are you thinking, "Why would I connect with my dental practice on social media?" We understand. We've thought this through carefully from OUR PATIENTS' point of view. Our promise? No pointless advertising or self-promotion. We're not using social media to "sell" you dentistry. Our content is intended to provide relevant information and advice about your comfort, health, and appearance. Things you'll enjoy and use. Some of it is just fun and engaging. We believe that satisfied patients are informed, connected patients. Sometimes it's nice to see content that reminds us all about how important our oral health is to a balanced, healthy life. And the practical, easy action items we include help you apply the information. We're listening. We make it simple for you to reach out to us when and how you'd like. Hearing from you helps us serve you better. Your participation makes us a better practice. Comments on our blog, Likes, shares and comments on our Facebook page, etc., help us know what we're doing well and what we can work on to do better. We appreciate your feedback and we take it very seriously. Our practice is relationship based. We do business one-to-one. That's one of the reasons why social media is such a good fit for us. It's one-to-one also. It's not traditional, mass audience communication—and, it's very effective. Sometimes we only see you every six months. Social media helps bridge the gaps. We cherish the personal relationships our team members have with each of you and we enjoy connecting more often. Occasionally we also have a special offer or event invitation that we like to only make available to our patients. Social media helps us do that. You may have heard us say, "We treat people, not teeth." We mean it. Thanks for being our valued patients and friends.